Wood Block Measures 1 1/2" x 2". When stamped this Find Your Way Heart stamp makes a fun addition to your ATCs, Journals, Mixed Media and Collage pieces or to a Scrapbook Page. High quality stamp. Packaging and shipping well done. 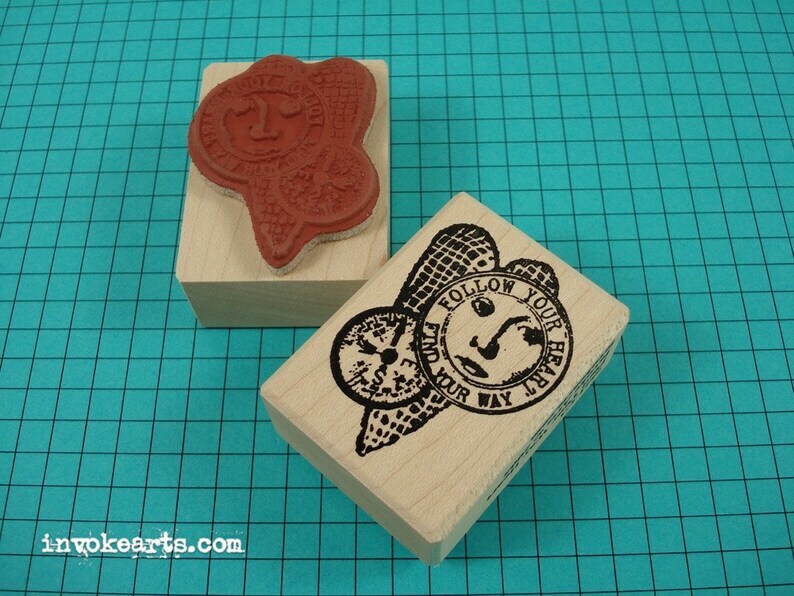 Having fun with my stamps!